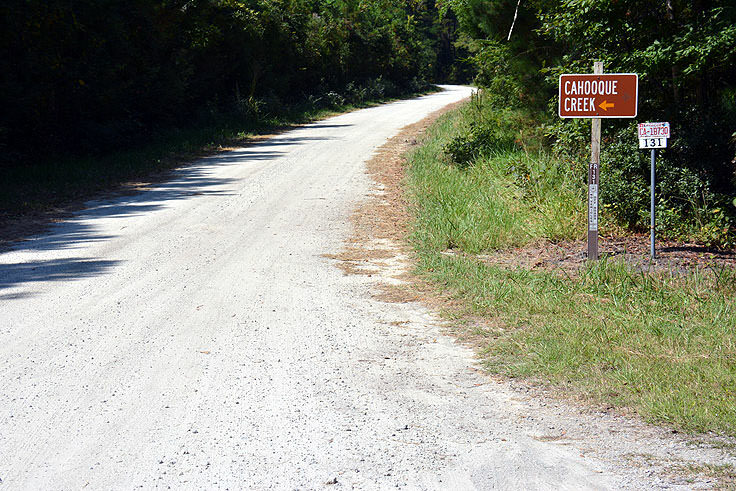 The Cahooque Creek Recreation Site is located close to the expansive Pine Cliff Recreation Area in the Croatan National Forest, and can be accessed via Forest Road 131. Hard to find and remaining relatively undiscovered, the public boat launch is rarely used except by locals in the know, ensuring that it takes mere minutes to get from the car to the water. 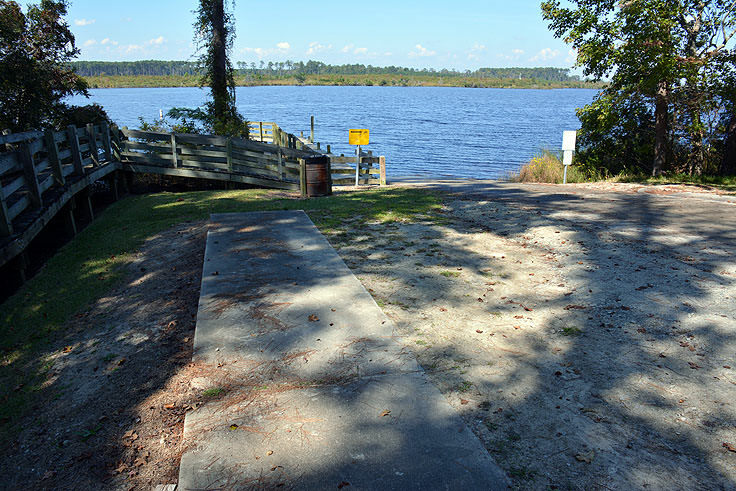 The boat ramp can accommodate smaller vessels of all types, including motorized skiffs and small boats, in addition to kayaks, canoes, and even rafts. 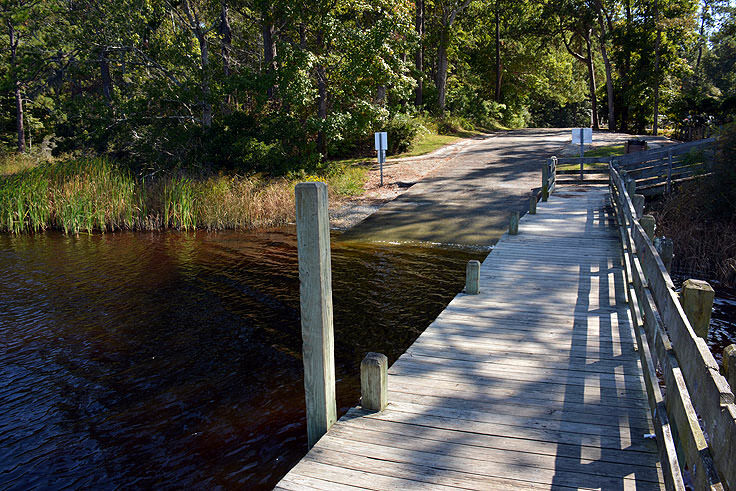 The fantastic location at the cross section of three rivers allows boaters to enjoy easy navigation through the narrower water trails of the Hancock and Cahoogue Rivers, or head out to the wide open waters of the Neuse River and Pamlico Sound. The waterfront locale also makes the Cahooque Creek Recreation Site a popular destination for local Havelock anglers, as both fishermen casting out from the shore or from a small kayak or skiff can land a number of fresh and brackish water species, including largemouth bass, redbreast sunfish, bluegill, pickerel, perch, catfish and even tasty flounder. Nature lovers will also enjoy exploring the site for an afternoon, as hundreds of migrating birds pass through the region every year, including ducks, swans and Canadian geese. Egrets, fly catchers, peregrine falcons, owls and even bald eagles also make appearances here, which means that bird watchers should definitely bring their cameras along for incredible shots. 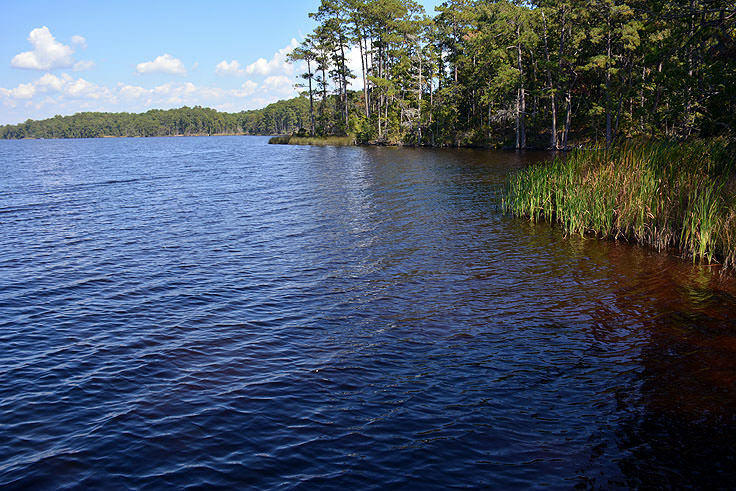 Plant fans will also want to keep an eye out for the rare Zenobia shrub, as well as Venus fly traps, which are located along this eastern coastal plain. The area is open from sunrise until sunset, and camping is not allowed. 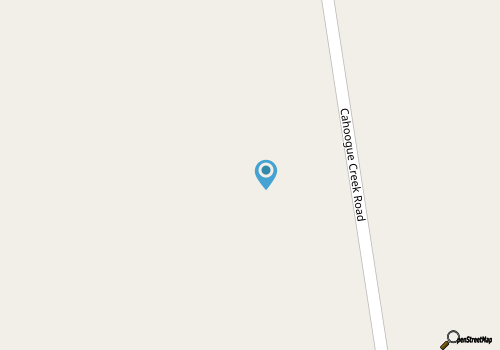 (However, camping can be found nearby at private facilities on the outskirts of Havelock.) 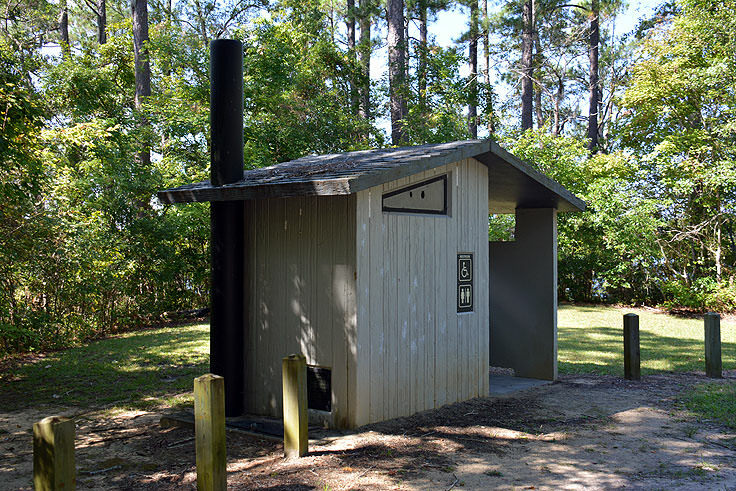 There are picnic facilities on site, but limited amenities, so visitors are advised to bring along their own water, food, and bug spray, especially during the summertime months. A stunning destination that serves as a scenic break for visitors, and an ideal boat launch for travelers who are itching for an easy (and free) way to take their small vessel out into the waters of the Inner Banks, the Cahooque Creek Recreation Site is an undiscovered treasure for a variety of natural interests. Visitors who adore local, unobstructed natural scenery should plan a trip well off the beaten path, and discover this waterfront recreational area where the rustic facilities and natural landscape are all part of Havelock's inherent and undisturbed coastal charm.